Filmmaker Marnie Crawford Samuelson returns to the Woods Hole Public Library on Saturday, September 29 at 3:30 PM with her two new films Fire Station 88.1 and Keeper. The first features the recent fires in Napa Valley California. 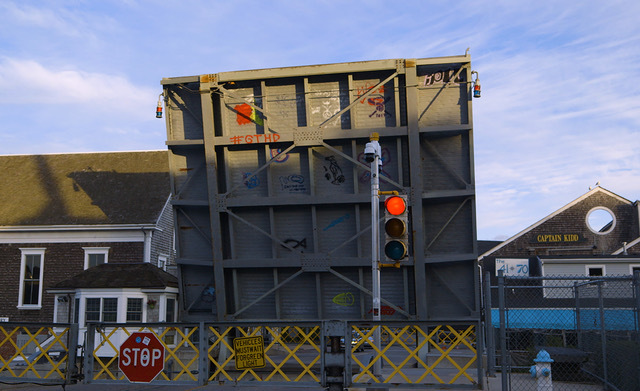 The second, which was shown at the Woods Hole Film Festival this summer is about the Woods Hole Drawbridge. Marnie, whose photographs have been published in books and magazines including People, U.S. News & World Report, Newsweek, Stern and The New Yorker, has also collaborated on several books. The Wild Braid, with poets Stanley Kunitz and Genine Lentine, was published by W.W. Norton in 2005. Lasting Words: A Guide to Finding Meaning Toward the Close of Life, by author Claire Willis, was published in 2014 by Green Writers Press. She is currently co-writing a new book with Claire Willis called Opening to Grief. Recently she has turned to creating documentaries in video, audio, and multimedia. Her short films, co-directed with Shane Hofeldt, include Fire Station 88.1, Tick Days, Rockers, Inside Motherwell’s Dumpster, Selina Trieff Will Not Stop, By the Waters, and A Box of One’s Own. Music for the first two was written by Kyle Oppenheimer. She has also formed a business called Boston Picture Group, reflecting her collaborative style of working with other filmmakers, photographers, editors, and clients. She has also produced several radio stories that have aired on WCAI, the Cape and Islands NPR station. The wildfire film titled Fire Station 88.1 highlights the work of volunteers at a low budget radio station taking to the airwaves to help hold their community together, a nice tie to Marnie’s time in Woods Hole at WCAI. Marnie will be at the screening to answer questions, and will have copies available for purchase. The event is free and open to the public and will be held in the lower level meeting room.